Einstein would be proud. Time in Brazil flows differently; you might have felt it when visiting the country. If you look around, you may notice people walking slowly, relaxed, enjoying themselves… but behind (what looks like) a very casual pedestrian might be a highly skilled and accomplished employee “rushing” to a meeting that’s about to start in a couple of minutes. If you consider Brazilian culture as a whole, it’s more accommodating to chronic lateness than other cultures, particularly compared to Northern European countries. In Brazil, if you want to emphasize that by “nine o’clock,” you mean 9:00 — not nine-ish — you can say “com pontualidade britânica” (with British punctuality). But while this laid-back attitude is true for social life, it’s less so for work situations. Mauro Gonçalves, business consultant and former IBM Latin America Solutions General Manager, told Street Smart Brazil that when it comes to work, “the relationship people have with time comes more from a company’s culture than a country-specific culture”, adding that IBM meetings would start precisely at the scheduled time, and employees were expected to be there on time. Most time-related frustrations, he said, would come when clients had a more casual attitude towards punctuality. In a recent post on Business 2 Community, Erika Kauffman listed “being on time” as the first of five habits that all successful employees have. 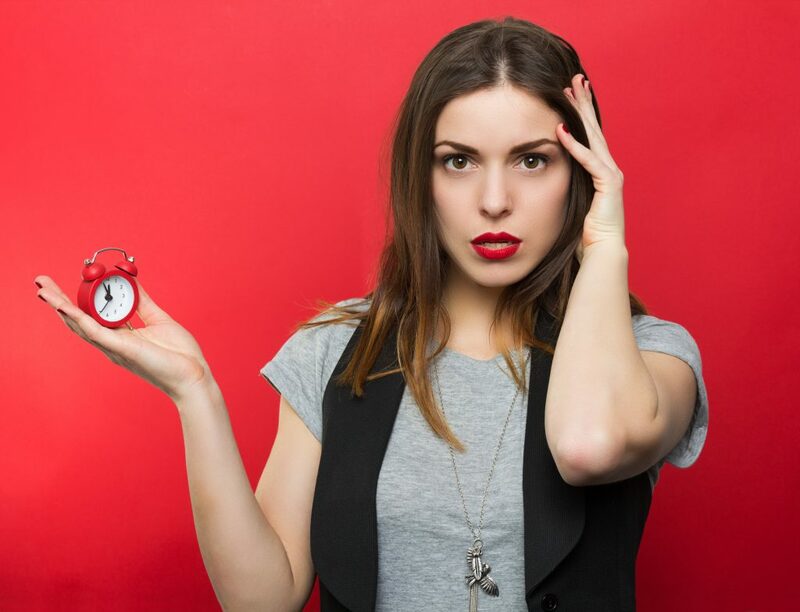 Although it might seem obvious that successful employees are always (or almost always) on time, some do struggle with punctuality, as she points out. It can be particularly frustrating if you are on your first business trip to Brazil, and find yourself waiting several minutes for someone who didn’t advise you they’d be late. The truth is, we all know that being on time is always the professional and right thing to do. However, always in Brazil may happen less often. If you get a chance to get more immersed in the culture, you will gradually find out that Brazilians approach the world in more relative terms than absolute terms. In conversation, a common way to start a sentence is: “Depende, isto é relativo…” (“It depends, this is relative” — really, Einstein should’ve been Brazilian). So even though Brazilians are more serious and responsible about time when it comes to work, it might still be more casual than you’re used to. Don’t take it personally. Brazilians are even more casual about social events. In fact, depending on the circumstances, being on time might even be rude! Arrive on time (let’s say 9:00 PM) for a party at someone’s house, and you might run into the host coming out of the shower in shock. Perhaps with the same face of disbelief (and horror) a foreigner may unwillingly express the first time someone tries to greet them with a kiss on the face (the accepted way to greet a woman in Brazil). Priscilla Ann Goslin, an American graphic designer from Minnesota who has lived in Rio de Janeiro for more than forty years, wrote a book called “How to be a Carioca: The Alternative Guide for a Tourist in Rio.” It has a page, dedicated to the relationship people from that particular city have with time, that said, “for a working meeting or for a party, punctuality is not a number one priority.” And any imbalance between how much someone values punctuality can also translate into imbalances in his/her personal relationships, for obvious reasons. The concept of the “relaxed carioca” can apply to Brazilians as a whole, but it will also have regional differences — that can lead to biased stereotypes. For example: Bahia (known as “Brazil’s Big Easy”) is known for its particularly laid back lifestyle, while São Paulo (Latin America’s economic engine) has a reputation for being more suited-up and serious. Learn about the culture you’ll be dealing with beforehand, and you’ll be able to navigate all the different and complex time rules that Brazilians instinctively follow. Be on time for all business-related obligations. After all, you are in Brazil for work; you want to look and act professionally. Know the nature and location of the event you are attending. If it’s merely a social event at somebody’s house, it’s polite to be a bit late (15-30 minutes). If you are meeting at a restaurant, be on time. If you are going to watch a movie at a theater, arrive 30 minutes early (movies start on time and have fewer trailers/commercials than in the US). Music concerts, on the other hand, can wildly vary in start times and often depend on the venue. Understand the not-so-obvious reasons that might delay a Brazilian. Traffic, rain, late buses… those are easy. However, a little deeper in the culture, you will see a diverse range of plausible reasons for a reasonable 30 minute delay to any event. If you happen to be watching the most amazing sunset in your life, it will be worth the wait; and if, on your way to a meeting, you meet a friend you haven’t seen for a long time, it can also justify some lateness. Not to mention an important soccer game going into overtime, or a popular soap opera’s last episode. Relax and take advantage of the laid back culture. Being on time and having to wait also means you will have more time to drink some water, enjoy a cup of coffee, use the restroom, or just chill. Use that time to read, write, look at the view, meditate… whatever pleases you. But try to relax and, most importantly, do not take it personally. Avoid scheduling back to back business meetings. Meetings usually run over the scheduled time. Ask! Don’t be shy — Brazilians love foreigners, especially when they’re interested in their culture, and will happily answer any questions you may have. Going to Brazil to close a big deal, or for the Olympics? 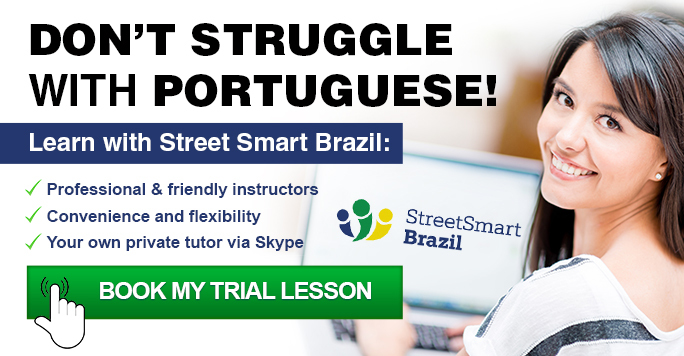 If you want to learn Portuguese within the context of the Brazilian culture, be sure to book a Trial Lesson with Street Smart Brazil. We have friendly and professional instructors, who will not only help you speak Portuguese fluently, they’ll also fill you in on everything you need to know about Brazilian culture, and how to successfully navigate those uniquely Brazilian business situations.